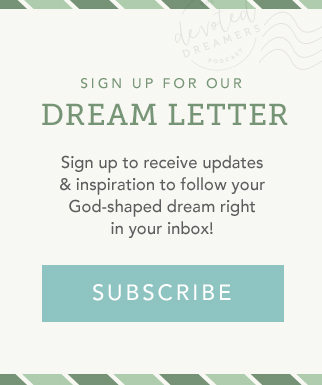 While I'm on maternity leave for the summer, I've prepared a few mini-episodes, each covering a specific topic related to pursuing your God-shaped dream. 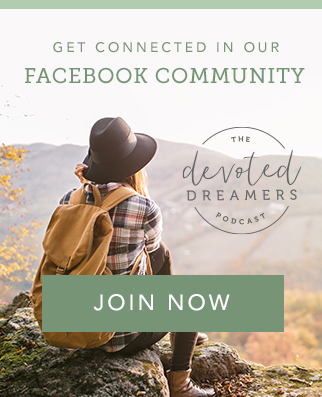 Special guest Heather Conkin and I talk in this one about how letting your dream lie fallow can be a good thing for both you and your dream. She shares how this practice is utilized in farming to allow fields to rest and regain nutrients and how she’s interpreting it for taking a break from The Practical Minimalist Podcast for the summer. If you or your dream could use a creative boost, this 15-minute conversation will help you consider the bold, courageous, and somewhat scary move you might make to put your dream on hold for a season with no expectations or plans for what might come in the future.